The Individualized Education Program (IEP) describes the special education and related services designed to meet the unique needs of a child with disabilities. Parents, school personnel, and often the student receiving special education services develop the IEP jointly. This page provides resources to help develop an effective and appropriate IEP. Description: Evaluation is an essential beginning step in the special education process for a child with a disability. Before a child can receive special education and related services for the first time, a full and individual initial evaluation of the child must be conducted to see if the child has a disability and is eligible for special education. Informed parent consent must be obtained before this evaluation may be conducted. 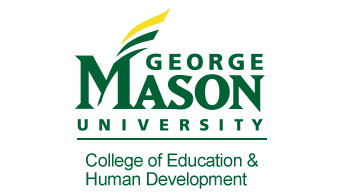 Description: Where will a student with a disability receive his or her special education and related services? IDEA requires placement in the least restrictive environment (LRE) for each child, a setting that is based on the child’s IEP. Description: Early intervention is full of terms that people constantly use in writing and in conversation, and it’s important to know what those terms mean. We are pleased to provide this handy reference to early intervention terminology, and hopes it helps our readers quickly connect with the meaning of pivotal words and phrases in the field. Description: Module 1 welcomes everyone to Part C of IDEA—the early intervention program for infants and toddlers with disabilities. Description: The mission of Virginia's public education system is to educate students in the fundamental knowledge and academic subjects that they need to become capable, responsible, and self-reliant citizens. 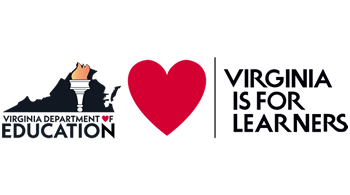 Therefore, the mission of the Virginia Board of Education and the superintendent of public instruction, in cooperation with local school boards, is to increase student learning and academic achievement. Description: If you have just recently found out about your child’s hearing loss or know of a child who has been recently diagnosed with a hearing loss you are on the right track to finding more information for Virginia residents. Knowledge is power! Being informed in the area of deafness/hearing impairment and teaching your child or children with hearing losses to be independent is important. Description: ATware Solutions, LLC. 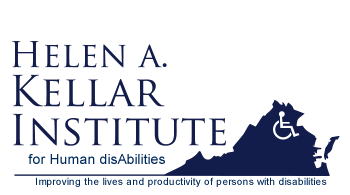 has been formed by a multidisciplinary team of people from several Virginia universities to produce a variety of apps that can be used by people with disabilities, or professionals and families assisting people with disabilities. All of these apps are free of charge. Title: On-Demand PEATC webinar "Coming of Age: My Child Is Turning 18, Now What?" Description: If your child has an Individualized Education Program (IEP), IDEA guarantees your some important rights. The right to: Participate in IEP Meetings, An Independent Evaluation, Give (or Deny) Consent, Contest a School's Decision, and Private Education Paid by the Public School (in specific circumstances). Title: Do You Need to Find Your Local Disability Services? Description: Both Individualized Education Programs (IEPs) and 504 plans can offer formal help for K–12 students with learning and attention issues. They’re similar in some ways but quite different in others. This resource compares them side-by-side to help you understand the differences. Description: This site contains IEP Resources for Parents, including Understanding Individualized Education Programs (IEPs), Checklist: What to Consider When Developing Annual IEP Goals, At a Glance: Who's on the IEP Team, Checklist: What to Bring to the IEP Meeting, and more. Description: This handbook is designed as a guide to help students take another step in for “life after high school.” While high school is an exciting time, you do after high school can be just as exciting if you have done some and thoughtful planning. Description: Pretti-Frontczak, K., Jackson, S., Goss, S.M., Grisham-Brown, J., Horn, E., Harjusola-Webb, S., Lieber, J., & Matthews, D. (2007). A curriculum framework that supports quality early childhood education for all young children. Young Exceptional Children Monograph Series, 9, 16-28. Grisham-Brown, J.L., Pretti-Frontczak, K.L., Hemmeter, M.L., & Ridgley, R. (2002). Teaching IEP goals and objectives in the context of classroom routines and activities. Young Exceptional Children, 6(1), 18-27.